We use fundamental movement skills every day. It occurs when we walk, jump, hug someone, ride a bike, eat food, get dressed, sing and dance. It is important for everybody to acquire FMS as they are the building blocks for movement. The best time for anyone to develop these skills during the early years of schooling. Teachers should be teaching and demonstrating fms as students do not naturally acquire these skills as a part of their normal growth and development. 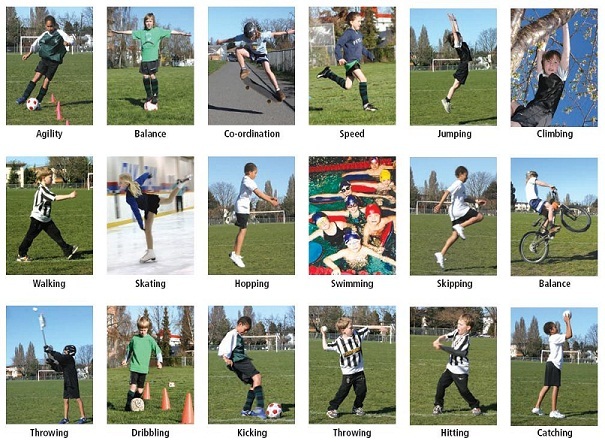 Students should be encouraged to develop FMS as it promotes movement and physical activity. Movement is healthy, it gives students confidence to be active and participate in social activities. This promotes social interactions between peers and gives them a sense of wellbeing and acceptance. The focus of your teaching should be on no more than two FMS at one time. It takes between 240 and 600 minutes of instruction time to become proficient in one FMS. The purpose is for students to master FMS and set the foundation so they can apply these skills when being introduced to more sport specific skills. This gives students the opportunity to enjoy the wide range of physical, sport and recreational activities available. This resource is to provide teachers and pre-service teachers with an understanding of each skill and opportunities to explore ways of teaching fms in Health and Physical Education.